This particular full CD cover was created at work for a long-time friend of the company in 2012. 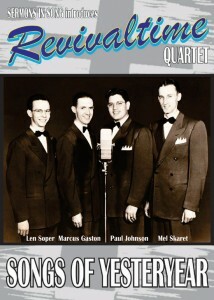 It was a special order to help commemorate and sell to people who enjoyed a musical era of the 1940s/50s. A full cover was created along with a foldout two-sided insert that describes the people in Revivaltime and shows different photographs/images of that time. It has been such a great experience to be involved in making this client so very happy with the end result. You can see the time then meant so much to him throughout his life and still deeply affects him as a very proud time in his life. The CD is now in its second pressing and available at this location. Purchase your copy today! To The Breaking Pointe by best-selling author Cindy McDonald rocks once again in the second book of the First Force Series! I was provided the cover photography by Paul Reitz of New York City and the model is Stuart Reardon. The model is normally covered in tattoos on much of his flesh so on this task is was about tattoo removal and a fair interpretation of his skin tones, lighting and textures. The text of this cover comes from the idea off the first book in the series and added the ballerina to replace the ‘i” in Pointe giving a little flair to the overall look to the text. This series is fast-becoming a favorite new series in reader circles throughout the globe. Get your copy now and if you’d like to see the full cover, click the image. 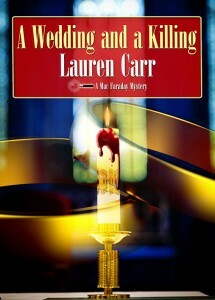 A Wedding and a Killing has me return the amazing (best-selling) Mac Faraday series by Lauren Carr. Sharing a little process behind the scenes here but when time is spent on coming up with ideas, certain things come to mind right away with the given information provided. Then, something magical happens as you start to dig in and create off the initial ideas, then evolve into something else and usually very unexpected with the final result that blows every other idea out of the water and those are the moments I cherish a lot when creating something from very little. A keyword here, a setting there opens up doors you never thought you would go down. Enjoy the book and remember to see the full cover image, click the image. 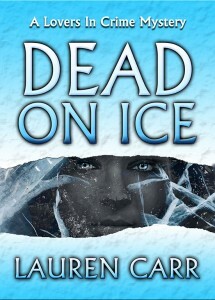 The original Dead On Ice cover started a new series with a new look and spark of new creative energy in coming up with a look that will really stand out as the series began to take off. 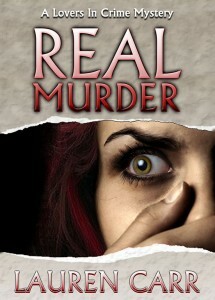 As the second book in the Lovers In Crime series became available (Real Murder), the first book cover did not have quite the look now the author wanted to have. So, with the inspired look of Real Murder on the shelves, it was time to update and match Dead On Ice with a visually connected updated look. Enjoy the new cover art and buy yourself the book once again if you purchased the first edition of Dead On Ice. The originals are now collectible! 🙂 To see the full cover, click the image. 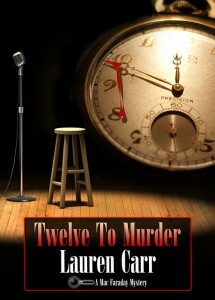 Read Murder was the second book in the Lovers In Crime series by Lauren Carr. This book changed the look of the series once completed. The feedback about this cover from fans of the author fell in love with the look and so the author asked me before the release of this book that I redo the first book in the series, Dead On Ice. So, a new cover will be coming very soon! To see the full cover, click the image. 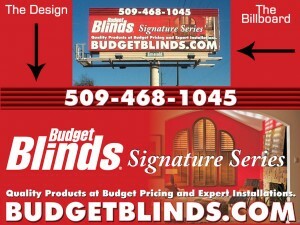 The project was to create a highly visible advertisement/billboard for a client who owns a Budget Blinds franchise here in the Spokane, Washington area. I was absolutely thrilled for the opportunity to do something outside my norm, but part of the well-rounded designer I wish to be. Once the project was complete, there were nearly a dozen billboards all over the area. I went around town taking pictures and the image you see here is one example of the different size variations that were taking up billboard space. I hope to do more work in the near future for the client. Thank you. To see a larger image of the billboard, click the image. Twelve To Murder, part of the Mac Faraday series, captures a very special place in my heart. Another masterpiece of literary genius by author Lauren Carr made this cover a no brainer for ideas. The watch on the cover image was passed onto me after my Grandfather’s passing. Personal items around the house have made it into some of my covers at work before as well which makes each of those covers a bit sweeter to share with the world. Enjoy. For the full cover, click the image. 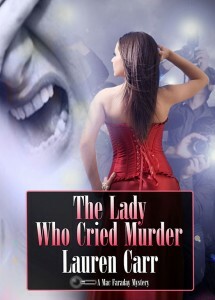 The Lady Who Cried Murder by Lauren Carr was another fantastic book in the Mac Faraday series. The creation of the cover was a bit tricky as some images just didn’t seem to work quite well enough to capture the essence of the book. Once I came across the main character for the cover, I blended a few other ideas to make this particular cover come to life and it really stood out as the winner. To see the full cover, click the image. Glory Reigns Ranch was a logo designed for one of the loves of my life. The process of getting the logo created took some time (which seemed to have taken pretty much most of 2013) but the overall result was worth the wait. I hope it used for a very long time and I was blessed to be a part of the clients life at one time and glad she gave me the opportunity to create something for her. – To Cub. For a larger view, click image. 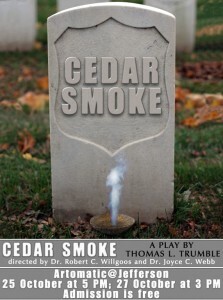 Cedar Smoke was a poster for a special play that was put on by Thomas L. Trumble; directed by Dr. Robert C. Willgoos & Dr. Joyce C. Web. The power of the Vietnam experience made the poster design a true honor in creating. Finding the right tombstone and then smoothing out the inscription that was initially on the tombstone was a quick fix. Adding the title text to blend with the tombstone came along quite nicely with a matter of a few adjustments. To see a larger image of the poster, click the image.